Our goals for interactive HTML reports in JMP 12 were to support the Bubble Plot, the Profiler and mobile devices. Many customers want to share JMP reports with colleagues on iPad or Android tablets, but these devices have different requirements than the desktops. In JMP 11, we exported interactive HTML as a desktop web app. Like most websites, this functioned on tablets but was not optimal. For example, buttons and other controls were difficult to hit on touch screens, especially on the smaller devices. In JMP 12, we built a mobile user interface that ensures that buttons and other controls are sized and positioned appropriately. In JMP 11, we relied on mobile devices to simulate desktop interactions, which introduces a 1/3 second delay on every interaction. In JMP 12, we respond to mobile interactions directly, eliminating the delay. This makes performance snappier, much more pleasurable, because our software works at the customer's speed. Finally, in JMP 11, we focused on publishing the basic features of JMP reports. 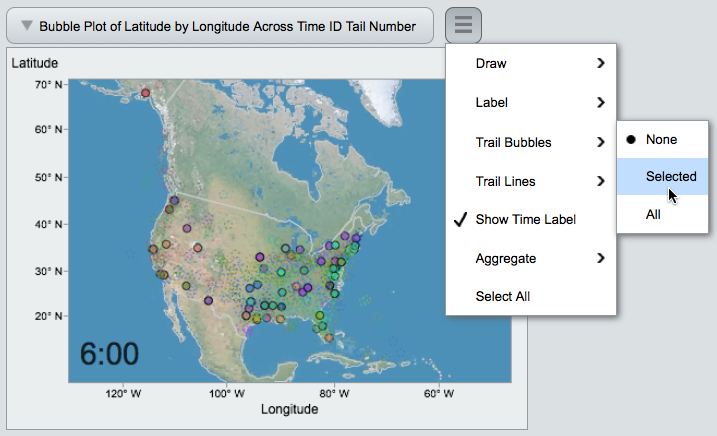 In JMP 12, we added a mobile-friendly menu system, to enable customers to interact with our interactive HTML Bubble Plot and Profiler and other platforms. This menu system also gives us a growth path to support even more interactivity in future releases. These static images give you a look at the reports, but there is no substitute for interacting with them directly. To see more, please try our examples, and let us know what you think! We look forward to hearing customer reaction to our JMP 12 interactive HTML reports, and your suggestions for future improvements. Thanks!